Issue 62 is Now Available to Download! 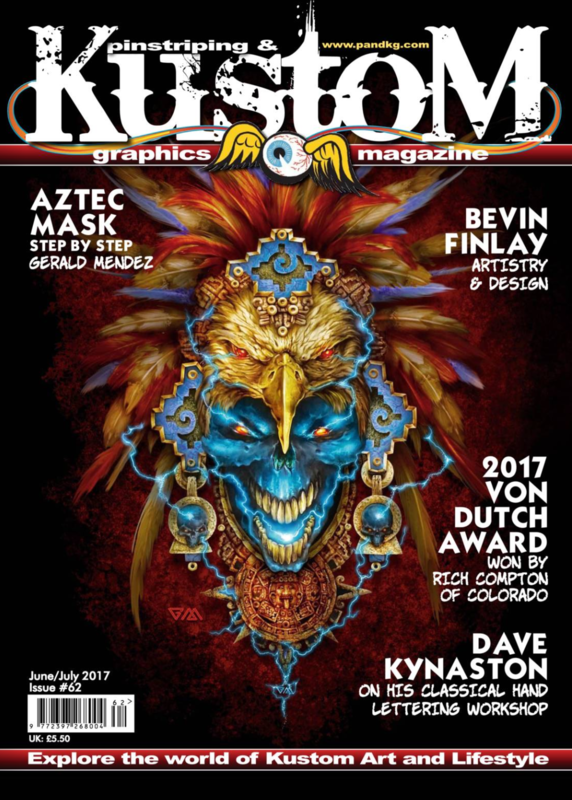 This issue boasts a fantastic mix of art, we think you’ll be both inspired and amazed by; Robots with personalities, hand painted graffiti art, pin-up lowbrow art and a whole load of stunning airbrush pieces. Gerald Mendez takes us through his Aztec step by step as featured on the cover and we take a peek inside the da Vinci factory as we’re shown the secret to their hand-made brushes. Paul Waring checks in to Elvis Presley’s Heartbreak Hotel and we get all the gossip from Tattoo Tea Party and BodyCraft Festival 2017.